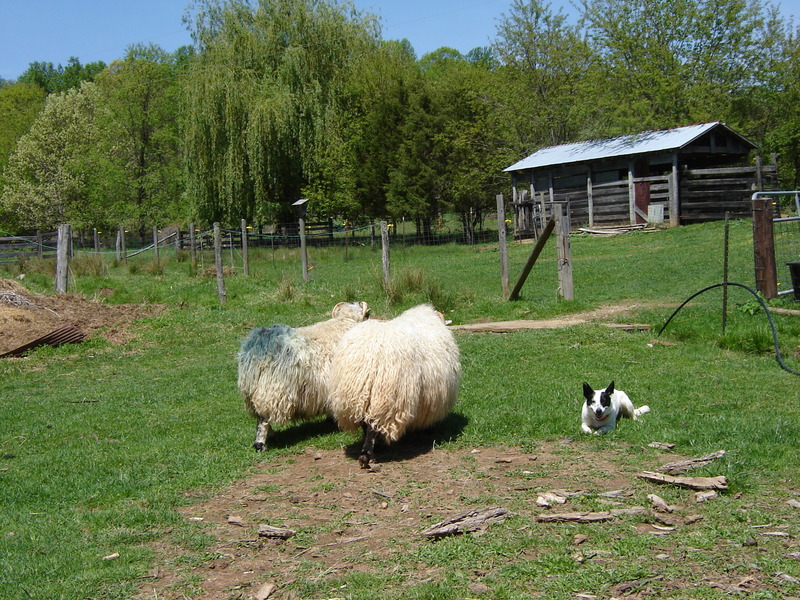 Well, we finally made it into spring and now its time to shear our sheep. All of our shearing is done by hand shearing. It might take us a little longer, but it is worth the extra effort. 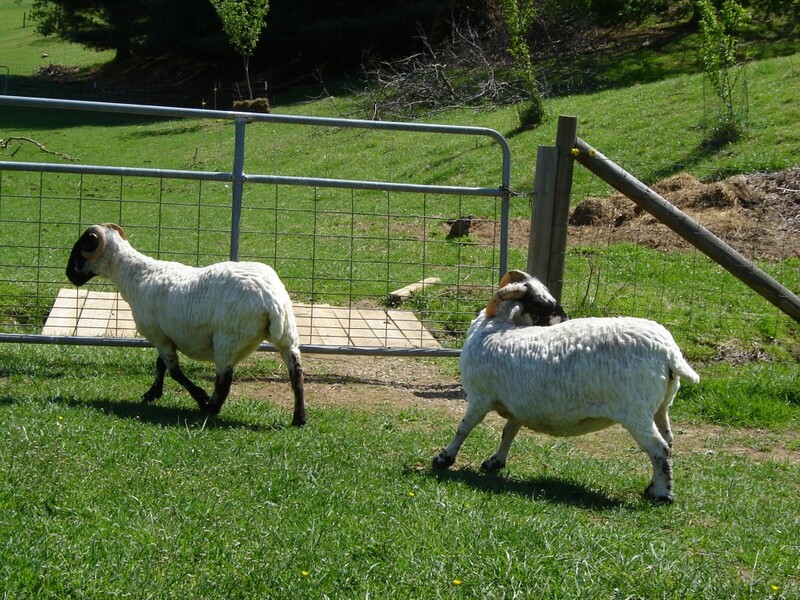 We chose Payden and Nessa to shear first because they are extremely easy to work with. This is Payden in fleece. This is Payden shorn. Laura had to do the shearing alone this time, so I don’t have any pictures of the shearing process. The next time I am off from work I will take pictures of the entire process. 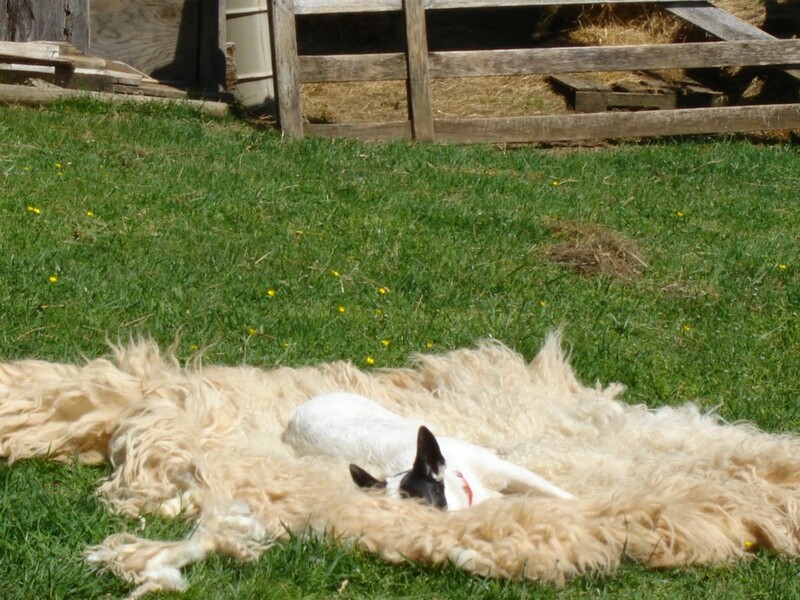 As for Payden he was very easy to shear this year, I guess he’s getting use to it by now, Laura said he didn’t even move a foot while being shorn, just a little tail wagging every now and then. Here is payden with his fleece spread out. 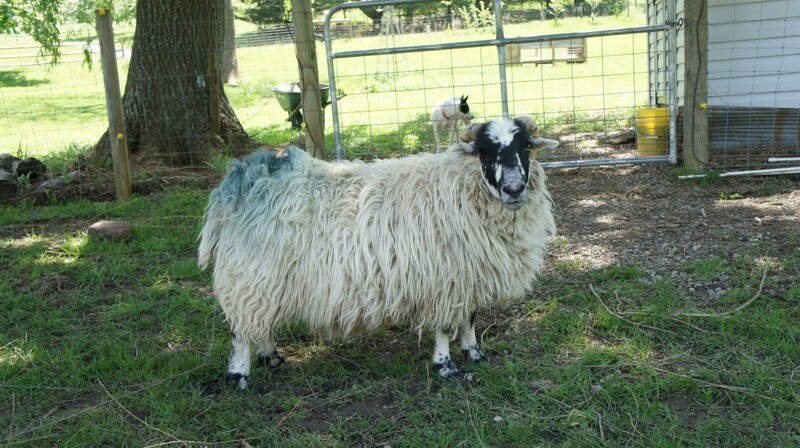 His fleece is about 5 foot by 4 foot spead out, as for it’s weight I’ll have to get back to you on that. 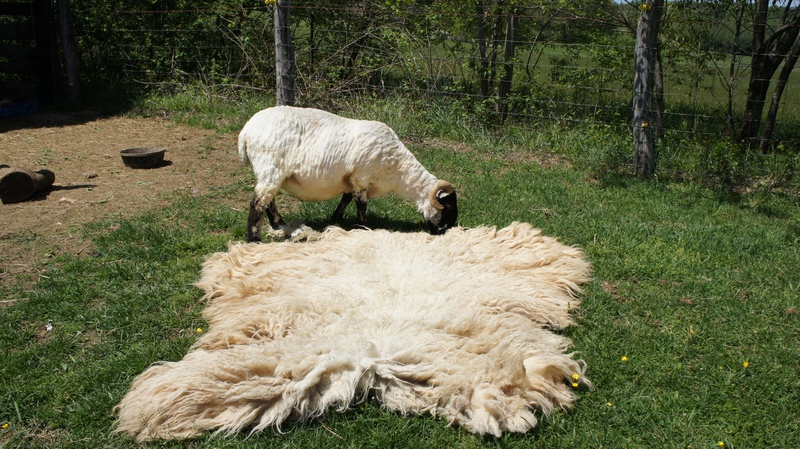 We let the fleece dry a little in the sun then we place it in a bag to be processed later. 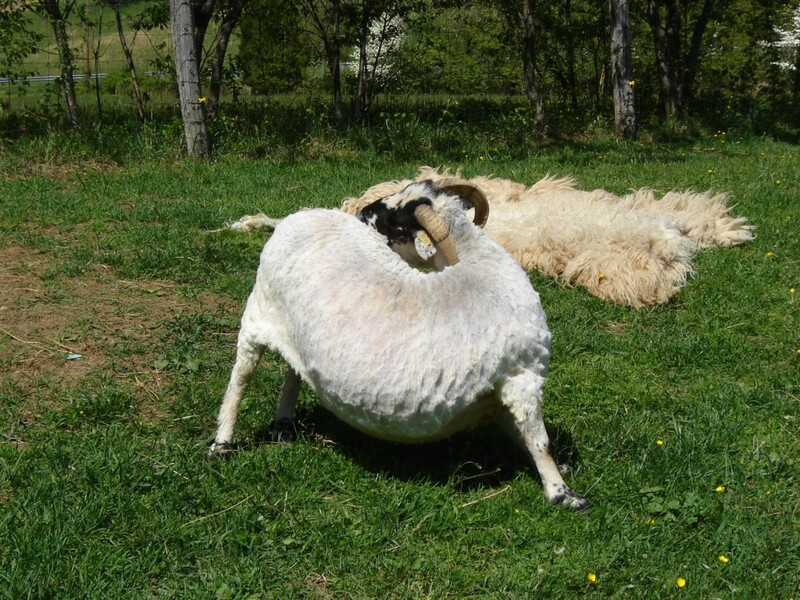 We will have raw wool for sale this year we’ll keep you updated. Here is Nessa in fleece. Nessa is also easy to work with despite her name ( It means bringer of destruction). 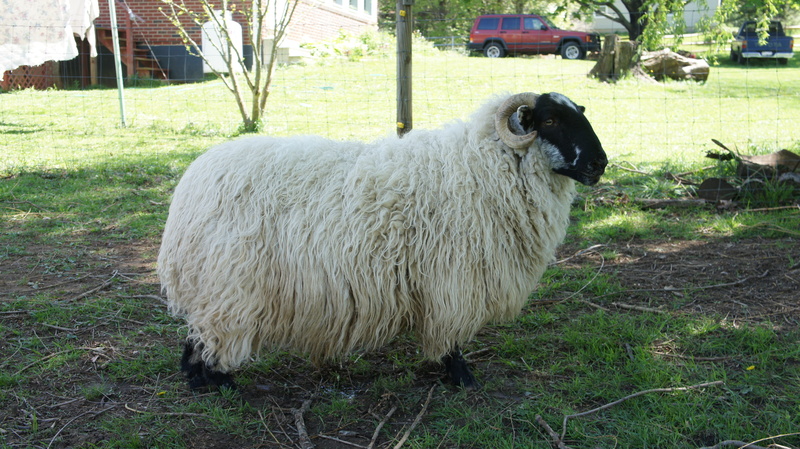 And here is Nessa shorn with her fleece behind her. Her fleece is not as big as Paydens’ but just as good. 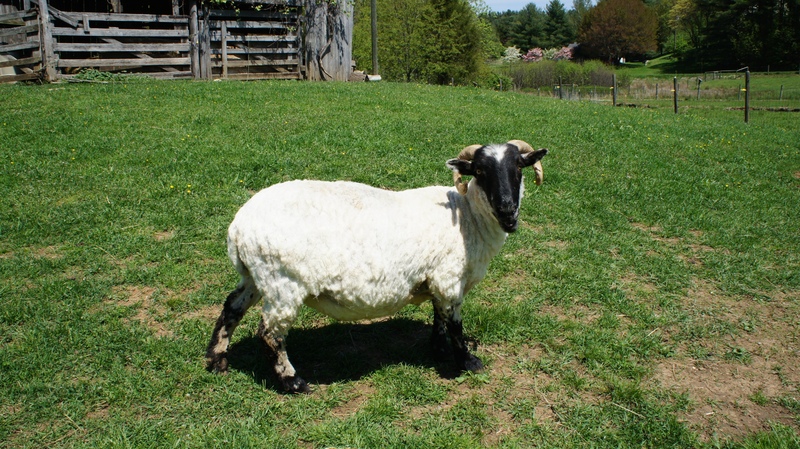 The blue will wash out when the wool is processed (it is froma marking crayon used during breeding season). Nessa has always been great to work with and this time there was no exception. So that’s two down and how many to go? And of course Emma was put to work moving the sheep around. It must of been very hard work.